It is not possible to accommodate everyone’s wish list, the right-of-way (ROW) is a finite width, generally 70 feet. 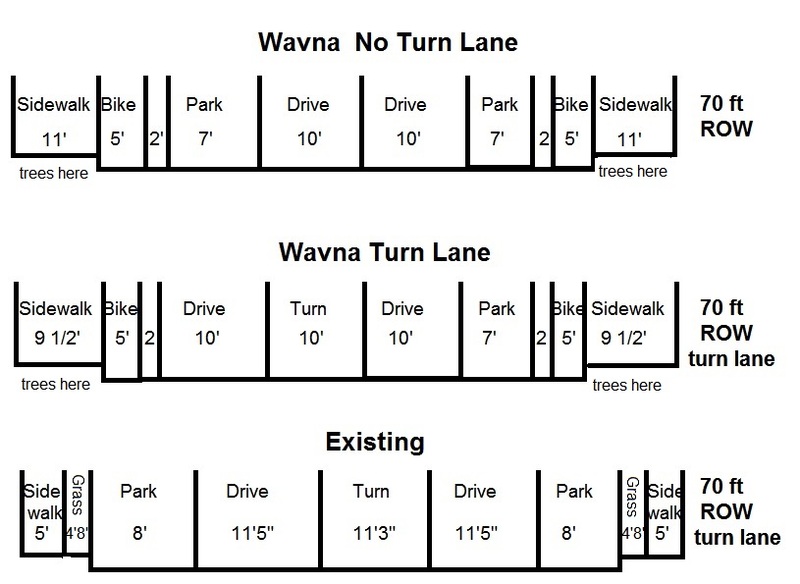 There has to be a compromise regarding the components that make up the streetscape – tree size and how much space for landscaping; driving lane width; sidewalk width; bike lane width; protected versus unprotected bike lanes; street parking on one side or both sides or no sides; how many turn lanes. The city set standards in the report called Street Design Guidelines. Wavna members rate priorities as follows: pedestrian safety, protected bike lanes, traffic safety, and shade trees. With that in mind, the Wavna Streetscape Committee recommends one of these designs, shown below. 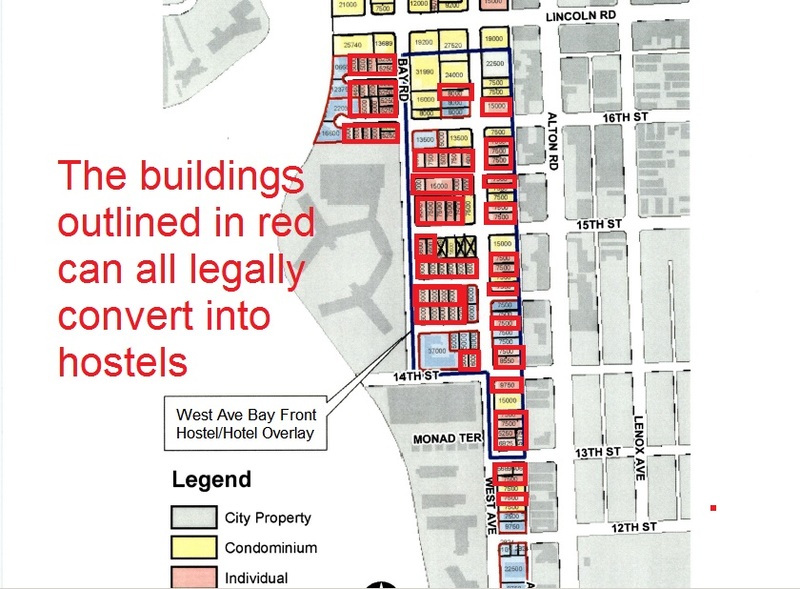 History of red sidewalks in Miami Beach. Youtube Video, red sidewalks phased out. Trivia: Which roads in Miami Beach are State roads versus County roads?